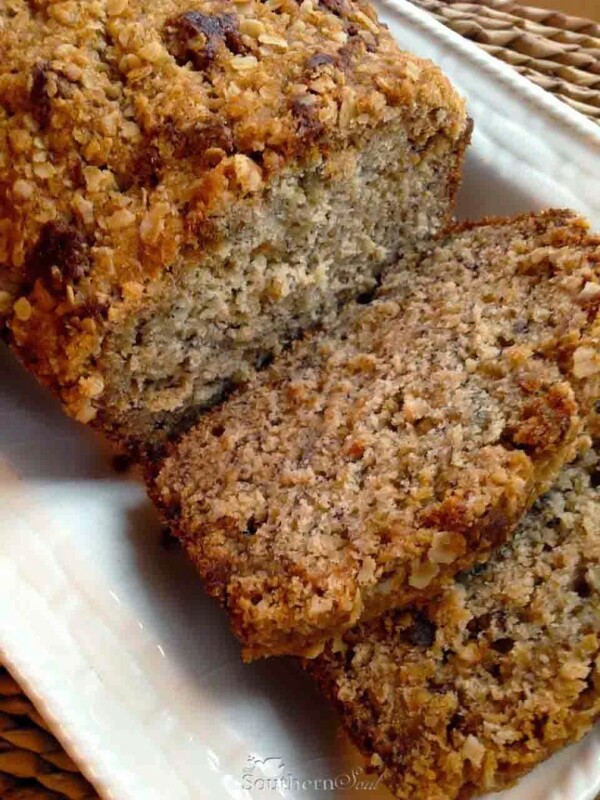 This week I took my traditional banana bread recipe and gave it a little extra something – brown sugar and oatmeal. I’m sure you all are like me and are always on the look out for a snack that’s healthy, filling and easy to make. This one fits the bill. 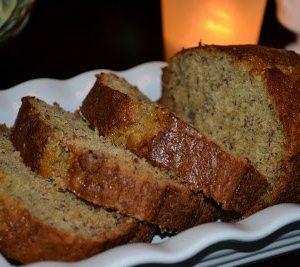 My guys love it toasted with a little “smear” of cream cheese or peanut butter and it packs beautifully in a lunch bag. 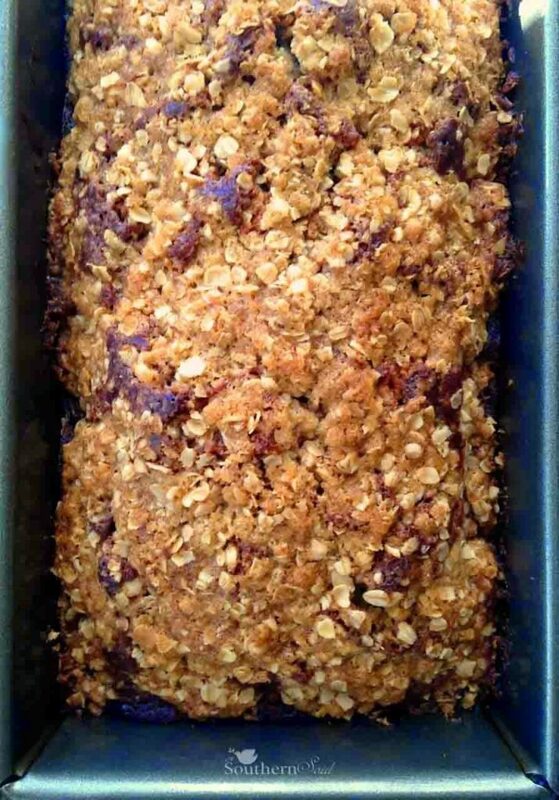 The best thing about my “redo” was the streusel topping I added. The brown sugar, butter and oatmeal turned into lovely bits of sweet, crunchy caramel…oh yea baby! 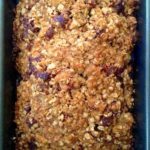 So, the next time you’ve got some overripe bananas hanging around, grab the brown sugar and oatmeal, you’ll be so happy you did. 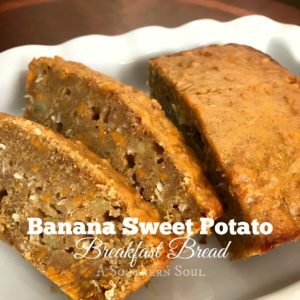 I’m a big fan of quick breads baked in a loaf pan and I’m tickled I can add this one to my line-up of easy to make recipes! 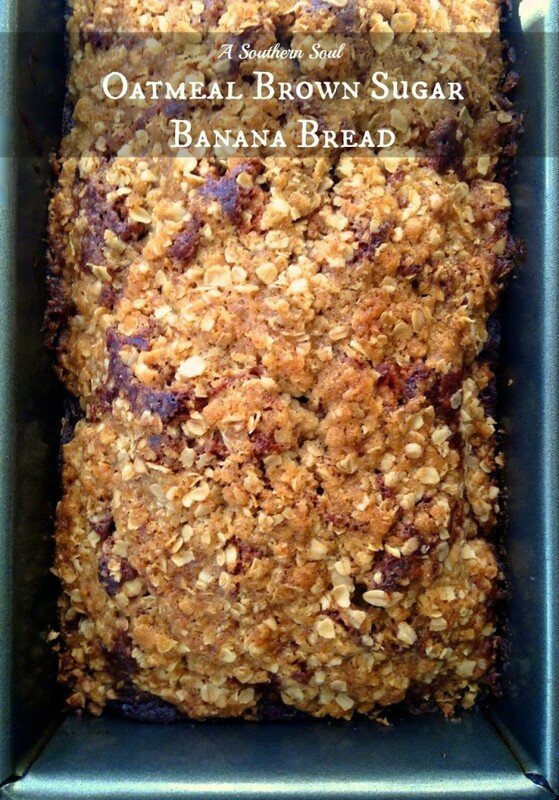 Bananas, oatmeal and brown sugar come together to make an outstanding bread. Toast it for breakfast and add a smear of cream cheese or just slice for a yummy after school snack. Grease 1 large loaf pan and cover bottom with waxed paper. 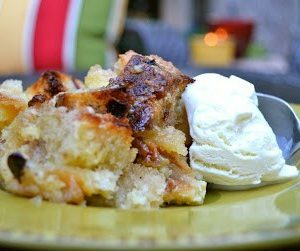 Cream sugar and butter with a whisk or hand mixer. Add eggs and mix well. Add remaining ingredients and mix well with wooden spoon. 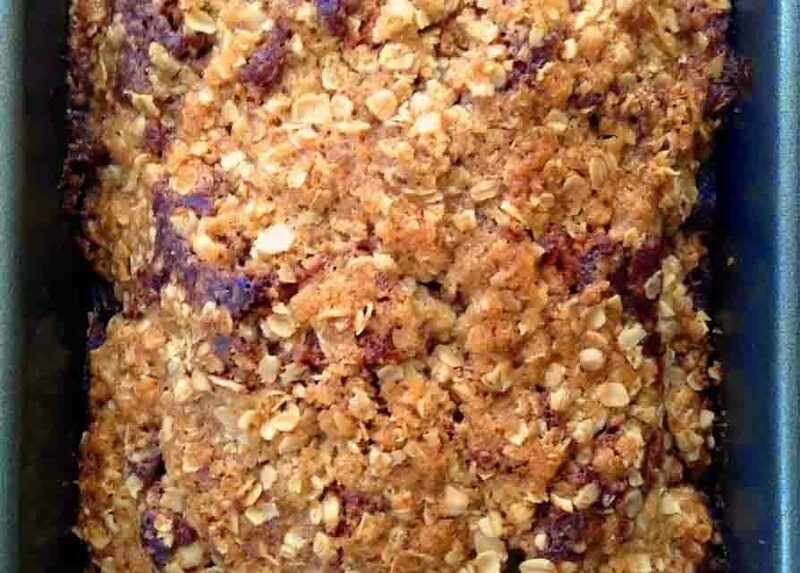 Mix streusel topping together with a fork and crumble over batter. Place pan in oven bake for 50 to 60 minutes. Test for doneness and remove from oven to cool for 15 minutes. Gently remove from pan. Slice to serve.